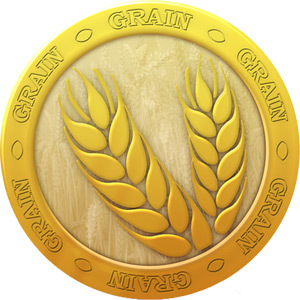 Grain is a PoW/PoS coin that is designed to be the unit of cyber-coin. It has a total of 50 billion unit to be released, through a fair p2p mining process. It is fast, secure and have sufficient coins for circulation so it can be used in real daily shopping. Grain is from the family of PPCoin/Novacoin with latest available algorithms that fixed various problems in the PoW/PoS coins. As compared to the PoW only coins, the proof of stake coins are more resilient to 51% attack. Also it is a long term energy-efficient crypto-currency since not all coins are obtained by mining.